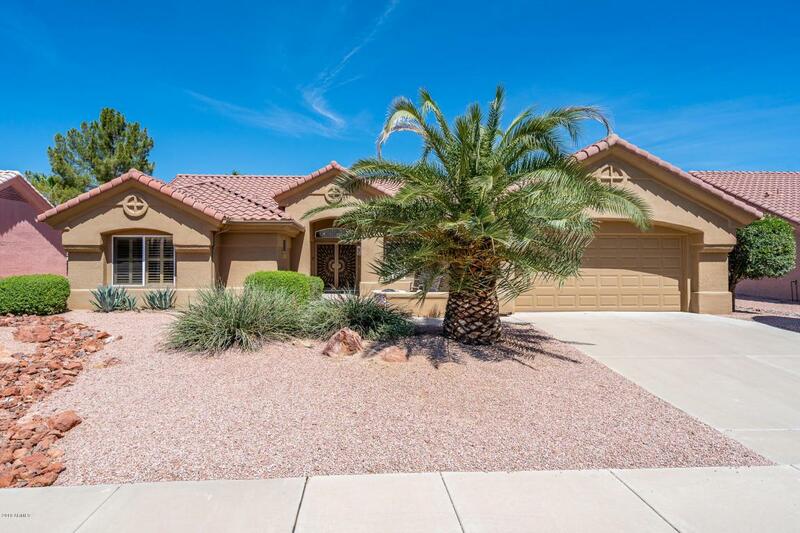 What could be better than a very well maintained Ventana model with a private back yard on a quiet street in a community abounding with amenities? This home shows pride of ownership with brand new tile flooring throughout the kitchen, family room, laundry, and traffic areas. 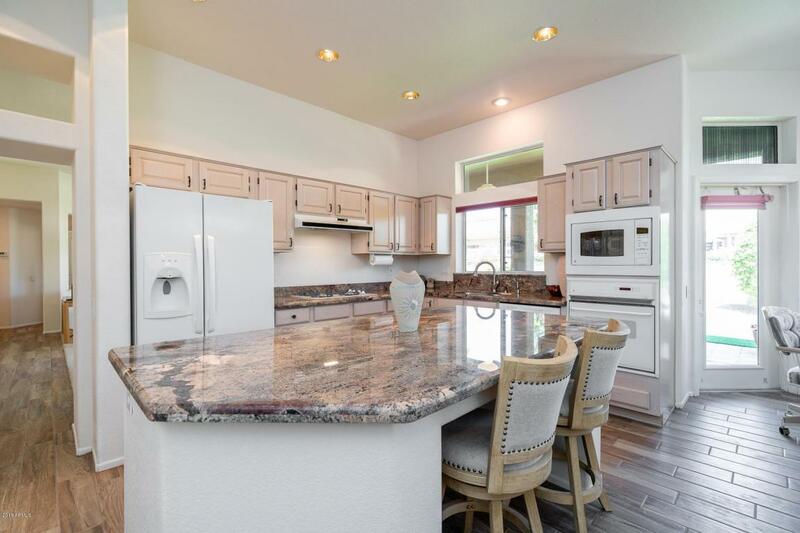 Enjoy a nice kitchen with beautiful granite tops and quality cabinets. Custom shelving in the large master closet makes it easy to keep personal items very organized. 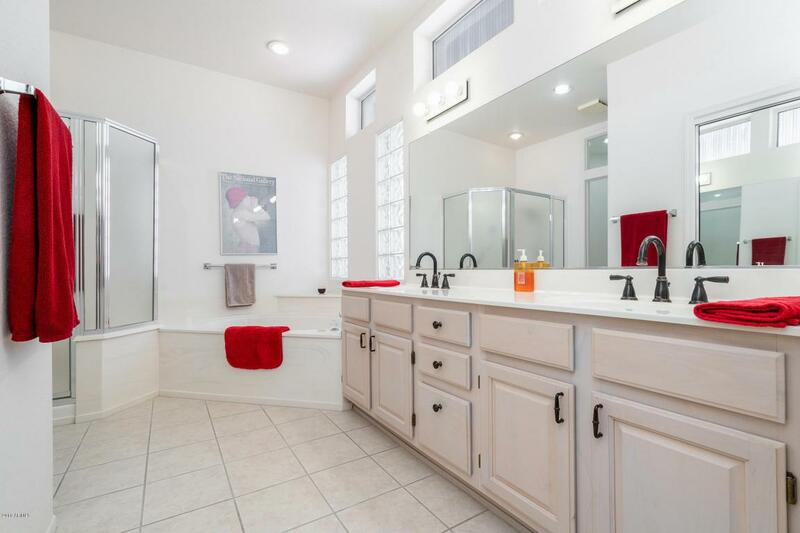 The master bath is complete with a tub and a shower and the guest bath has a beautiful custom tiled shower. 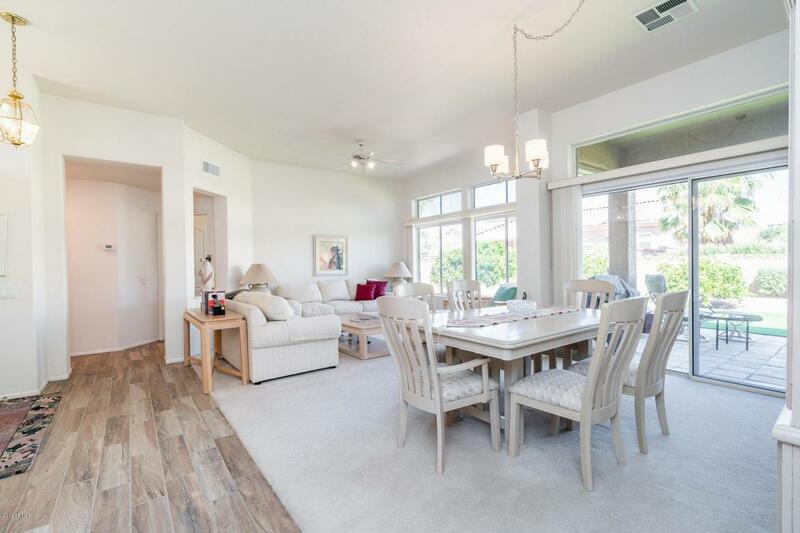 A nice back patio and the large area of artificial turf together with the putting green in the private back yard will make entertaining guests very enjoyable. You will appreciate the nice sized garage and the quality storage cabinets. Welcome Home!